On Sat. 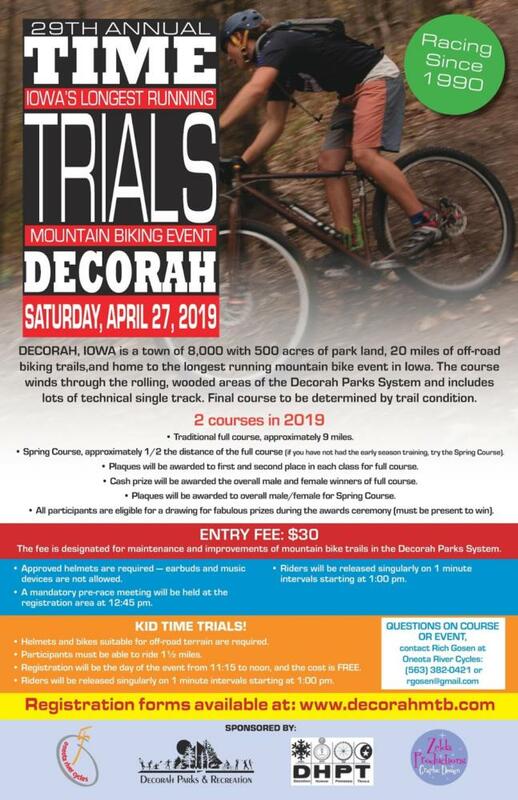 April 27th the Decorah Time Trials will be held on mountain bike trails in the Decorah park system. 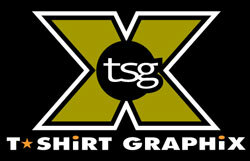 The Time Trials have been held since 1990 and is the longest running mountain bike event in the state of Iowa. The course winds through the rolling wooded areas of the Decorah Parks system and includes lots of technical single track. Entry fee is $30.00 and all proceeds will go to projects and maintenance in the park system. For more information contact Richard Gosen at (319) 382-0421 and rgosen@gmail.com or go to www.decorahmtb.com for more information on the Time Trials and the bike scene in Decorah. Mandatory pre-race meeting at 12:45. 1-minute interval race time slots will be filled on a first come, first served basis when you register.